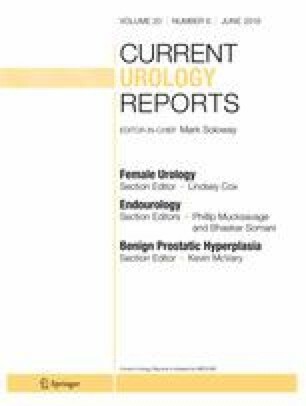 Treatment for lower urinary tract symptoms due to benign prostatic hyperplasia (LUTS/BPH) remains largely driven by patient symptomatology with medical therapy or watchful waiting as the first-line management strategies. However, most patients are not adherent to prescribed medical therapies and are hesitant to accept the risks associated with more invasive therapies. Minimally invasive surgical therapies are treatments providing short-term symptom relief superior to medical therapies without the sequela of more invasive procedures. Though there are few direct comparisons, MIST seems to relieve LUTS/BPH symptoms at least as well as medical therapy without the need for daily adherence. Joshua Sterling and Nicholas Farber each declare no potential conflicts of interest. Nikhil K. Gupta reports a grant from Boston Scientific.